Growth: It’s what every bodybuilder wants, that can’t be denied. Lately, a lot of attention has been placed upon HGH, or human growth hormone. This is literally the hormone that encourages humans to grow. What a prize, right? Unfortunately, dosing yourself with HGH is highly illegal and can have serious repercussions medically. Luckily, there are ways to encourage your own body to produce more of its HGH naturally. This is far from new, as a ton of products in the past have sold themselves on the ability to do this. This was not entirely the case, however. Previous products could, in theory, do this, but the active ingredients were eventually proven to not be able to pass the blood-brain barrier. This means that it would be ingested, your body would be unable to make proper use of it. It was there, but unused. Blackstone Labs took a long hard look at the shortcomings of others and eventually made a breakthrough. Through using the ingredient 1C, it was proven to pass the blood-brain barrier and actively encourage your body to produce more growth hormone naturally. 1-C, or 1-carboxy-2-amino-3-pyrobenzol(3,4 diol), is closely related to L-Dopa. In the past, many supplements touted L-Dopa as the next big thing in the supplement industry, but again, this was the compound that was unable to breach the blood-brain barrier we just spoke about. 1-C (a natural L-Dopa derivative) was found to increase HGH levels through increasing dopamine levels naturally. It’s important to understand how the body actually does this. As you rest and hit the REM stage of your sleep cycle, your pituitary gland secretes growth hormone. When attempting to increase growth hormone production naturally, adequate REM sleep is key, no questions asked. While 1C does its job of increasing production, the release will not occur without the rest aspect. Luckily for you, we have also added a suite of ingredients to encourage natural, healthy sleep while increasing natural HGH production; the best of both worlds. To accomplish this, we have added velvet bean extract, which is a dopamine precursor that will help promote output of natural growth hormone. L-DOPA converts into dopamine, an important brain chemical involved in mood, sexuality, and movement. Valerian root extract and melatonin have been included to aid the crucial need to rest well. Again, hormone secretion occurs during the REM stage of your sleep cycle. Additionally, adequate rest is paramount to increasing performance in the gym, making gains, and reducing off time due to recovery. It also goes without saying that getting enough rest at night is also directly related to improvement in mood, focus, and productivity at home and at work. Urtica dioica prevents the conversion of testosterone to DHT. This conversion has negative effects such as spurring prostate growth. Urtica dioica helps to keep molecules of testosterone free from a protein known as steroid hormone binding globulin (SHBG). SHBG can prevent testosterone from binding with its receptors in the muscle cells. Urtica Dioica can result in higher levels of free testosterone in the body, which of course can help with lean tissue growth. Piperine It inhibits a number of enzymes responsible for metabolizing drugs and nutritional substances; it stimulates the activity of amino-acid transporters in the intestinal lining; it inhibits p-glycoprotein, the ‘pump’ protein that removes substances from cells; and it decreases the intestinal production of glucuronic acid, thereby permitting more of the substances to enter the body in active form. Vitamin D3 helps support bone health. So what are some of the benefits of Growth? 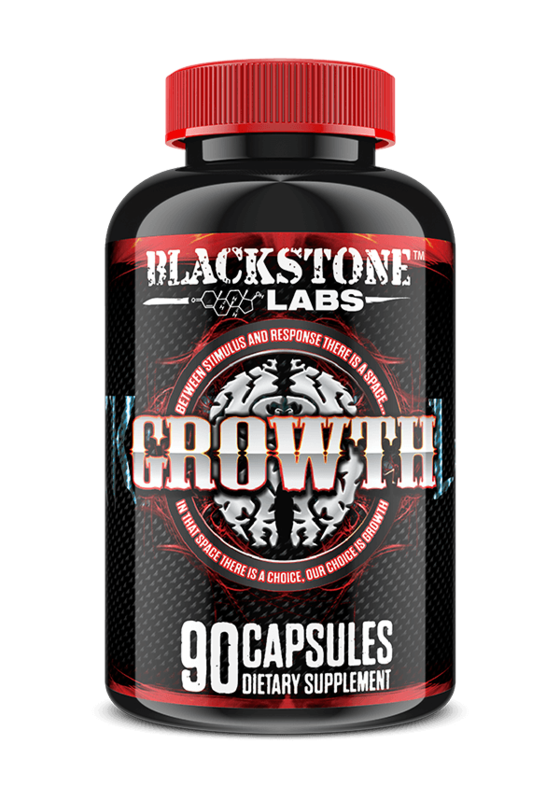 Ladies, did we forget to mention that Growth is 100% natural and completely safe to take? If you’re serious about increasing muscle mass, definition, and cutting loads of body fat, this is THE supplement for you. Growth does not need to be cycled and does not produce any adverse side effects. Growth is a great, natural way to boost your body’s release of growth hormone, as well as a way to get better rest. 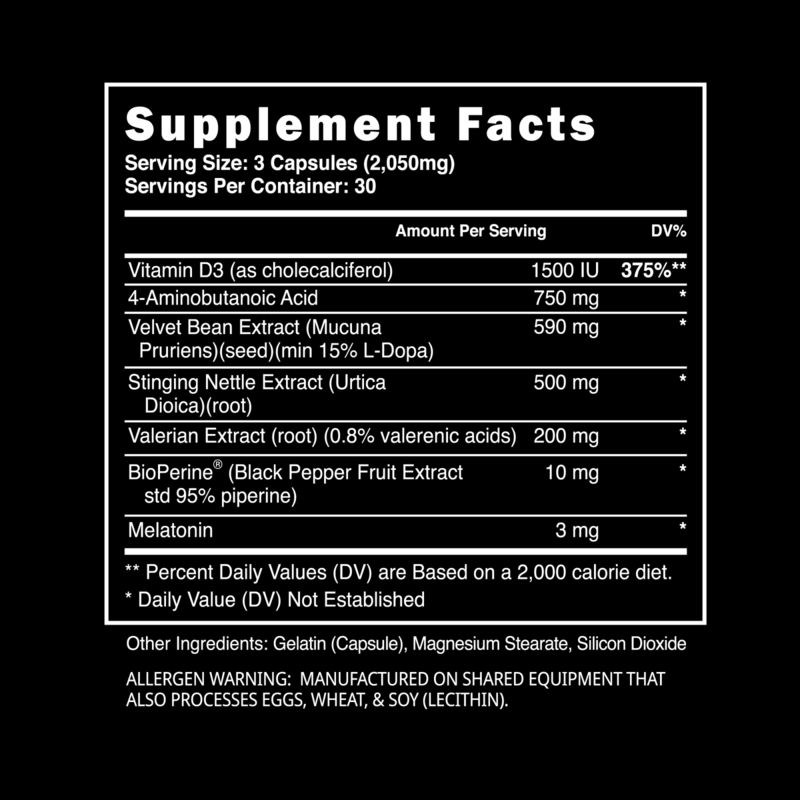 We recommend taking this if you routinely use pre-workouts like Dust v2 and train in the evenings. Yes, you can take this product. We recommend that women take 3 caps before bed. Great for hair, skin, and nails.